If making sense of the glut of statistics regarding textile recycling has you clutching your head like a stunned monkey, USAgain is here to help. 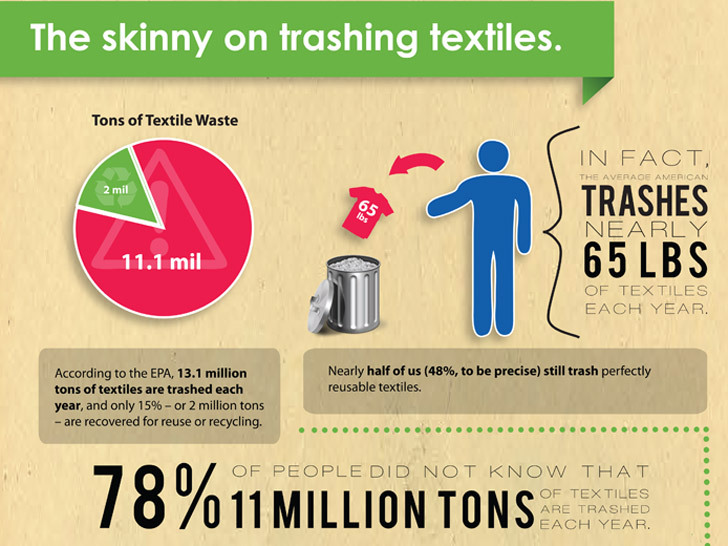 The textile-recycling firm has distilled data from the U.S. Environmental Protection Agency, plus the results of a 1,500-person national survey, into a handy infographic. Click below the fold for an in-depth look.